There’s truly nothing more rewarding than getting a response from an application you sent in to your dream job asking you to hop on the phone for an interview. Not only did all your hard work—editing your resume, writing a cover letter, putting together writing samples, and filling out endless forms—pay off, but you’re finally going to meet the person (or people) hiring for your role. Or, uh, well, hear their voice at least. Before you go from ecstatic to panicked wondering how in the hell you’re going to knock the interviewer’s socks off, we’ve compiled all the phone interview tips you could ever need to get yourself prepared—and guarantee you’ll get to meet the hiring manager in person in the next round. Any other contact information (like their email or the company’s main line) you may need if the call drops. If this wasn’t spelled out to you, just ask! There’s nothing wrong with getting some clarity on something that affects both of your schedules (and you’ll be grateful you didn’t have to deal with a missed call or meeting that started late). I’m excited to speak with you on [date]! I just wanted to double check what time we’re chatting at (I have [time] [time zone] on my calendar) and what number you’ll be calling from. Please let me know if there’s anything else you need from me before our call. Just confirming we’re chatting on [date] at [time] [time zone] and you’ll be calling me at [phone number]/I’ll be calling you at [phone number]? Let me know if I have that schedule wrong. Oh, and if you need to reschedule for whatever emergency reason, use this email template and be proactive—in other words, don’t wait until the last second to cancel if you can help it. Treat it like any other interview—and prepare, prepare, prepare. Too many people make the mistake of winging a phone interview thinking it’s not as important or they can handle it no problem, when in reality they find themselves stumbling over their answers and messing up their chances. First, give the job description a gander to understand exactly what role you’re interviewing for and what the interviewer may ask you about over the phone. Then, do some digging into the company. Browse their website, Google them to gather some recent news updates, read their employee testimonials on other sites (like The Muse! ), and scroll through their social media. Get a sense of not just what your specific role would entail and what the team does, but the company’s history, mission, and overall vibe. This will help you in crafting tailored interview answers and asking thoughtful questions. As Muse writer and former recruiter Rich Moy notes in an article about what recruiters look for in a phone interview, you don’t want to just regurgitate the organization’s “About” page. Rather, find ways to tie the company’s values to your own and use that to showcase how great a fit you are. Next on the list is prepping answers to any and all phone interview questions you might be asked. Once you nail those down, practice answering these other common interview questions and compile two to three questions to ask the interviewer at the very end. But preparing for a phone interview isn’t just about crafting answers to predictable questions you may be asked. It’s also about knowing how to convey those answers over the phone. So if you want to ensure you’re making the right kind of impression, phone a friend and have them listen to your responses and give feedback (more advice on running a successful mock interview here). Figure out what you’re worth by using a salary calculator and reading this article and this one. Then practice how you’ll convey that request by reading this article on discussing salary requirements. All this information shouldn’t just sit inside your head. One, because it doesn’t have to—the beauty of phone interviews is that you can have notes right in front of you without the interviewer having any clue. And two, because we often freeze up when we’re nervous, so why put yourself in the position of forgetting everything? Take the research you did, the answers you prepared, and the questions you have and jot them down into a notebook, on a Post-it, or in a one-page document (we even made a cheat sheet for you!). And stick to bullet points—you certainly don’t want to be reading your answers off like a script. That’ll just make you sound inauthentic and frankly make the interview more stressful. In addition to your cheat sheet, it might help to also print out a copy of your resume and cover letter, as well as any other information you think you might need to reference (like your salary research). As Muse writer Aja Frost points out, the interviewer may bring up points you made in these documents, and you’ll want to know what they’re talking about. At home, this may mean locking yourself in a room that’s away from family, roommates, or pets. At work, this may mean booking yourself a conference room or Breather, finding a coffee shop nearby, or settling for your car or a quiet side street. Wherever you decide to go, scope it out a day or two early for all the necessities—a comfy seat (if available); minimal distractions, interruptions, or foot traffic; good phone service; and an outlet if possible. This goes hand in hand with finding your ideal phone interview location. Book time on your calendar so people know they can’t bother you during that time (and make the event private or give it a fake name so your boss doesn’t find out what you’re up to), lock your bedroom door so your roommates or kids don’t come waltzing in, and silence any notifications on your phone or laptop. If you’re in a public place, try facing away from a window or toward a wall so you aren’t distracted by people walking by or things happening around you. And—this is key—use headphones! They’ll minimize surrounding noise and help you to further focus on the conversation—and only the conversation. By the way, please do not eat or chew gum during your interview. If you prefer, set a glass of water next to you for when your mouth starts to get dry. Your phone dies. Your interview runs over and someone’s trying to get into your conference room. You get distracted and lose your train of thought. You forget everything you’ve practiced and have zero things to say. These are unlikely to happen, but knowing what to expect can help you overcome your worst fears and respond proactively should you need to. Having the essentials in place—like a phone charger and cheat sheet—can do wonders for your confidence. And if you’re worried you’ll run over, make sure your space is available and booked an extra 15-30 minutes before and after the scheduled time. Being afraid of talking on the phone is normal, so if that’s your biggest worry the best thing you can do is practice—over and over again until nothing surprises you. And try reading this article on overcoming phone interview phobia, this one on becoming a “phone person”, and this one on refocusing after you get distracted. Ideally you’ll actually pick up the phone when the interviewer calls. But in case you can’t for whatever reason, you’ll want to make the best impression you can offline—and this means setting up a professional voicemail message. You definitely should make sure your phone is at full battery going in—because no one wants a dropped call. An hour or so before your interview is scheduled to start, also make sure it’s working properly and the signal is OK by calling up a friend or family member and asking if they can hear you alright. First, the essentials: Be on time and pick up on the second or third ring. Then, nail your introduction. You can start off with something like, “Hello, this is [Your Name]” or “Hi [Name], this is [Your Name]. Thanks for calling, it’s great to speak with you.” Basically, you’ll want to say something that’ll set the right tone off the bat. Saying “’Sup” or not making it clear it’s you speaking will immediately make the interviewer question your professionalism and communication skills. You don’t have to jump straight into business! At least not if they aren’t. Feel free to ask them how their day’s going, talk about the weather or your weekend, or try a conversation starter if it seems natural. Participating in small talk is a polite and easy way to keep the good vibes rolling and connect with your interviewer—just keep it brief and business appropriate. Also, if some kind of interruption or background sound occurs, apologize and address it—better to pause than to continue on obliviously while the interviewer is straining on the other end trying to understand what you’re saying. If background noise is unavoidable, mute yourself when you’re not speaking. With technology and not seeing someone face-to-face come all sorts of awkward social moments—delayed or overlapping responses being one of them. So don’t be afraid of moments of silence—it’s OK to let the conversation breathe a little. And if they interrupt you, stop talking to let them finish before speaking again. If they’re doing this, either they’re dealing with technical difficulties or they want to refocus the conversation. You’ll want to transition with them so everything you say is clearly heard and understood. One of the biggest mistakes people make in phone interviews is not sounding energetic and excited enough. Because the person can’t see you, you have to work extra hard to show that you’re enthusiastic about the role and meeting with them. To help convey this, use gestures and smile while you talk. Both will automatically inject emotion into your voice. Hey, get up and walk around if that keeps you lively. And if something’s funny, laugh! That’s allowed! Of course, you’ll want to balance this out by not sounding fake. Keep an eye on how loud you’re speaking and try to lower the volume when you find yourself getting too animated. Practice and getting feedback from peers can help with nailing this down. Self-awareness is crucial when you’re talking on the phone. With only your voice to carry you through, you want to make sure everything you’re saying is clear and concise—so catch yourself when you start to ramble or chatter a mile a minute. If you have a stutter, for example, this is especially helpful to practice beforehand. Don’t be that person who makes the interviewer repeat their questions again and again—that’s annoying for everyone involved. Pay attention, practice active listening, and don’t multitask (a.k.a., don’t be working on something else, or even reading over your own notes, while the other person is talking). This means repeating relevant points (write them down if you really want to remember them) and using fillers like “hm,” “OK,” “yes,” and “right” to express that you’re taking it in. Take a minute or two after you hang up to jot down any last notes you want to remember. Maybe they mentioned a new product they launched that you want to check out, or something about the culture you want to follow up on via email, or a person to reach out to. You won’t regret having those in writing when you go to write your thank you note or walk into the next round of interviews. It was great speaking with you over the phone today. I really enjoyed learning more about The Muse’s mission to help people find companies and careers they love, and especially enjoyed discussing your vision for expanding the consumer product. I’d absolutely love the opportunity to join your team. I look forward to hearing from you about next steps, but please let me know if there’s any other information I can provide in the meantime. For an easy-to-use template and more examples, read this article on writing a thank you email after an interview. If you don’t hear from the hiring manager in a week or so, don’t hesitate to follow up to see where they are in the process. 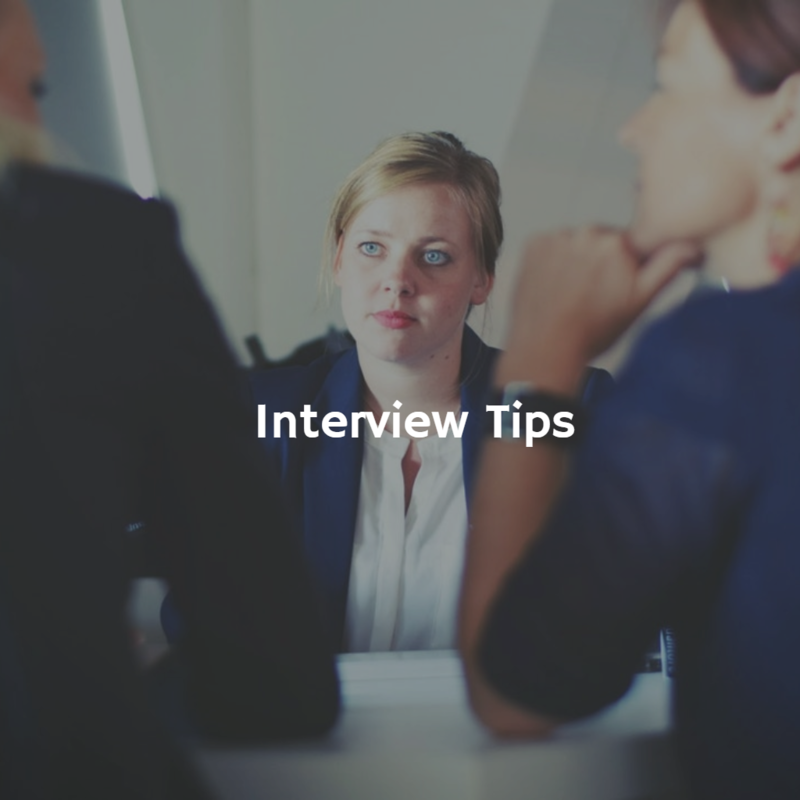 They may still be conducting interviews and thus have no updates for you, but checking in keeps you top of mind when they go to narrow down candidates. I hope all is well! It was really nice speaking with you last week. I just wanted to follow up and see where you were in the hiring process for the sales development representative role. I’m still very interested in and excited about this opportunity, so please let me know if there’s anything else you need from me to help in making your decision. For more help on writing this follow-up email, check out this article and this one. If your phone interview is actually with a recruiter who found you via LinkedIn or another source, that’s awesome! You’ll want to keep several things in mind. First off, this is still an interview. It shouldn’t be a formal conversation (nor should most interviews be super formal), but you should still do your research, practice some responses, and prepare your own questions. And you’ll want to express enthusiasm for the opportunity and speaking with them—even if you’re not actually all that interested in the role (you can always turn it down later on). As Muse writer and career coach Jenny Foss points out, you have the upper hand because the recruiter is rooting for you to succeed. So use that to ask for their help and suggestions in moving on to the next round and express clearly your intentions for the role, like your salary demands and ideal set of responsibilities.